ROCHESTER, Mich., March 20, 2019 (GLOBE NEWSWIRE) -- OptimizeRx Corp. (NASDAQ: OPRX), a leading digital health messaging platform for the pharmaceutical industry , released its full results and findings from its Drug Cost Survey. The survey focused on prescription drug costs, yielding insights into physician perspectives on the affordability of prescription drugs and patient adherence to prescription regimens. The cost of prescription drugs is on the mind of physicians and patients alike. The survey was the first to be executed through OptimizeMDs, a multi-specialty physician panel created by OptimizeRx to improve the effectiveness of digital communication between pharma/life sciences and physicians at the point-of-care. Initial results were released at the Healthcare Information Management Systems Society (HIMSS) 2019 conference. 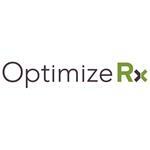 OptimizeRx plans to facilitate a corollary consumer survey to gauge their perspectives on financial discussions, prescription affordability and medication adherence. The full position paper and survey results can be downloaded at info.optimizerx.com/survey-results. For more information on OptimizeRx, visit www.optimizerx.com.